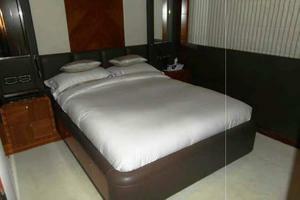 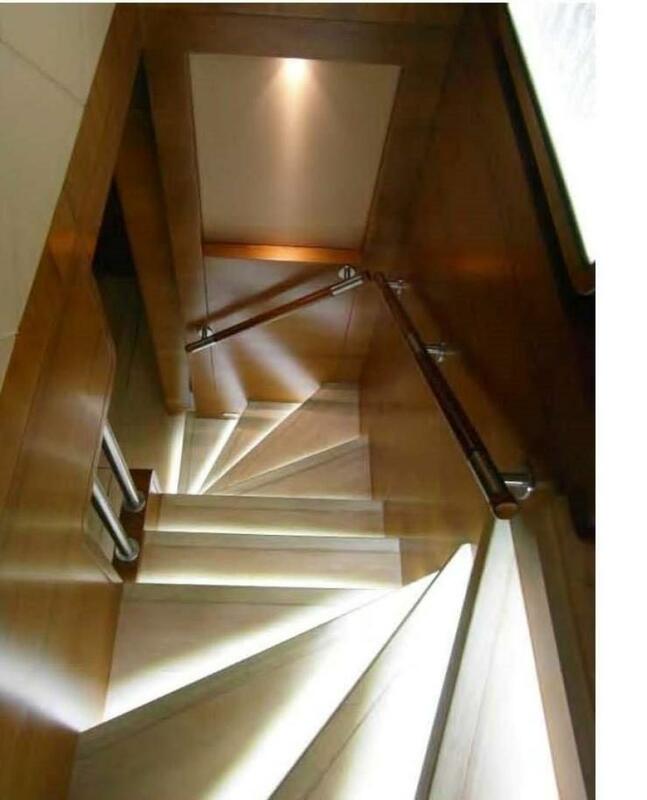 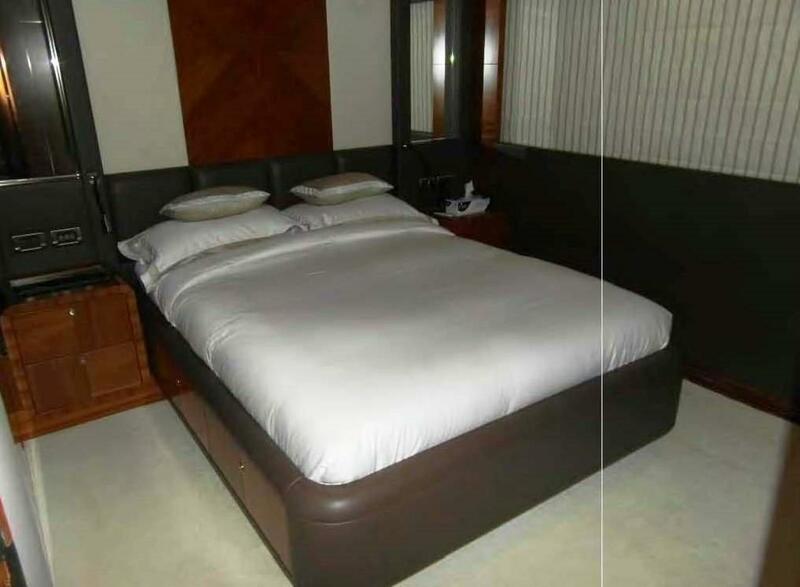 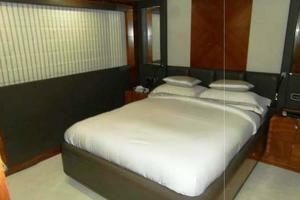 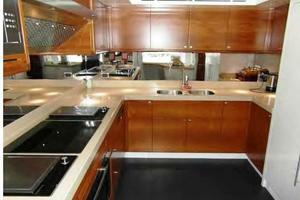 Large Price Reduction For Quick Sale! 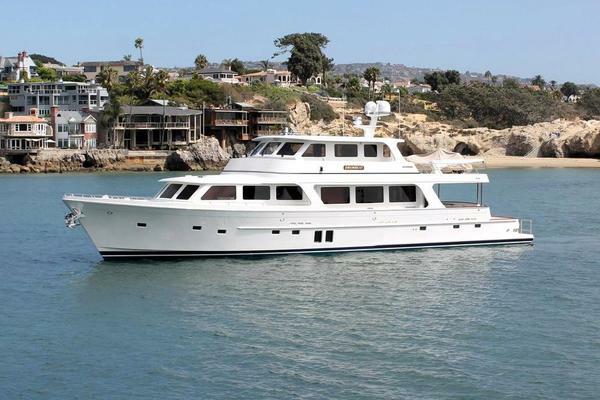 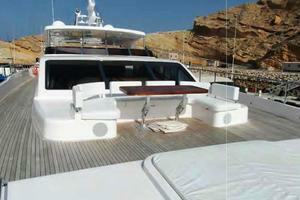 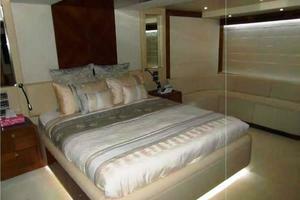 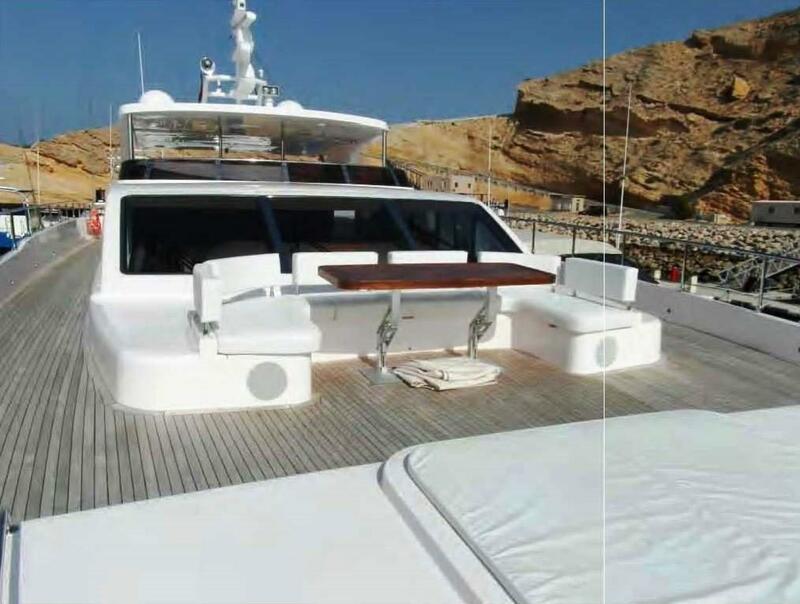 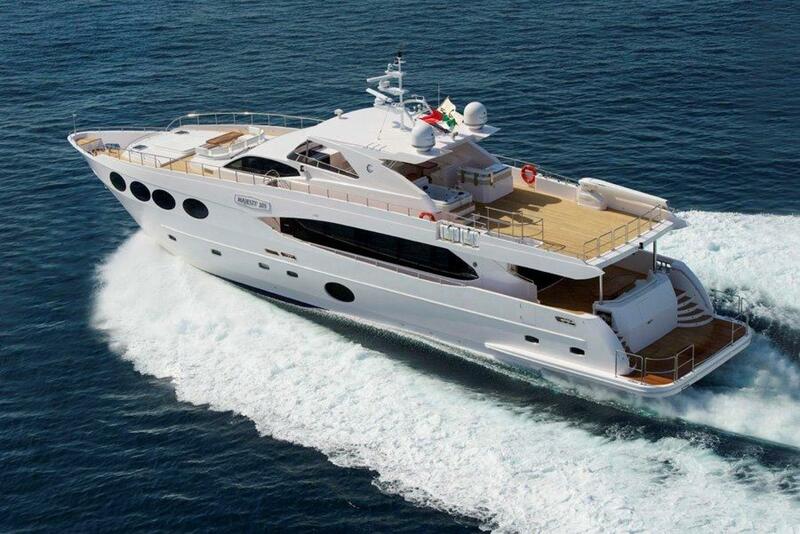 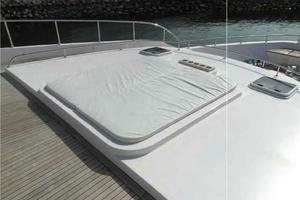 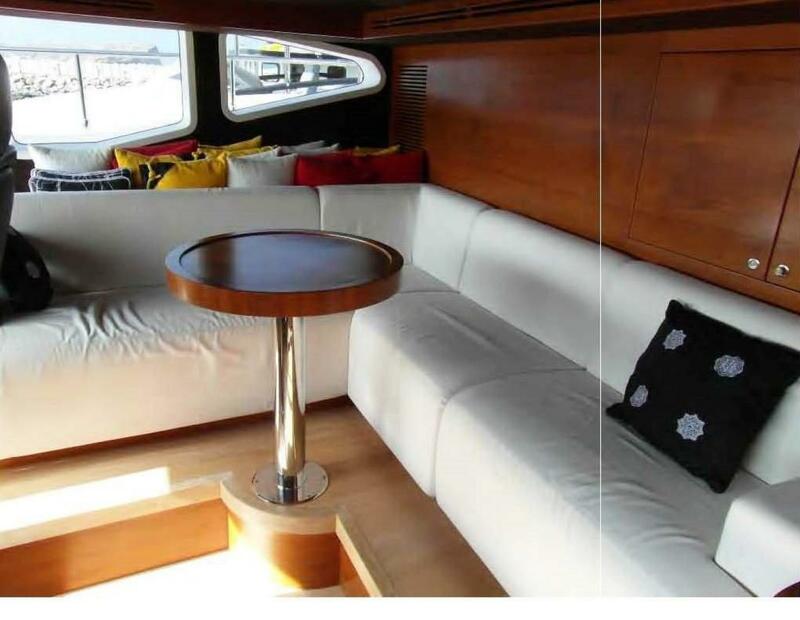 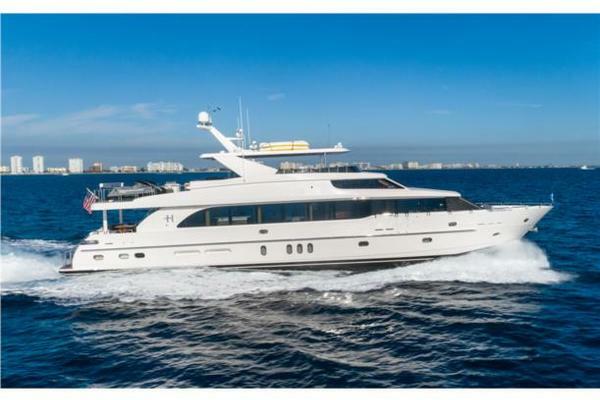 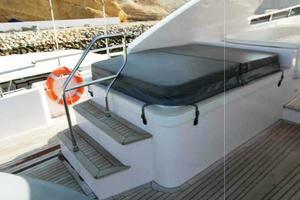 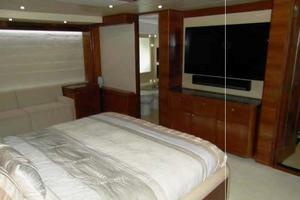 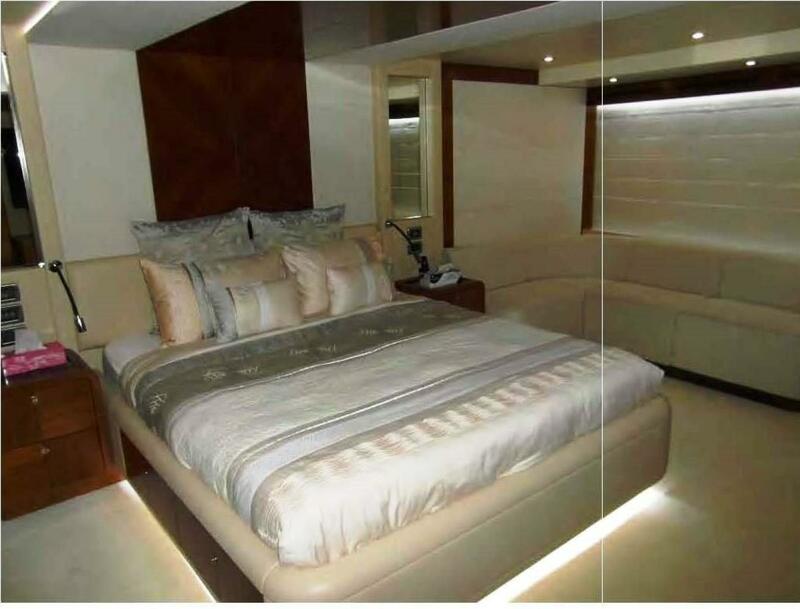 Like new luxury flybridge yacht featuring 5 staterooms to accommodate 10 guests. 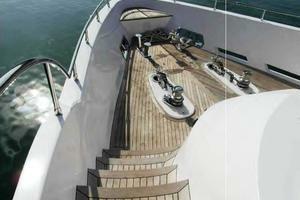 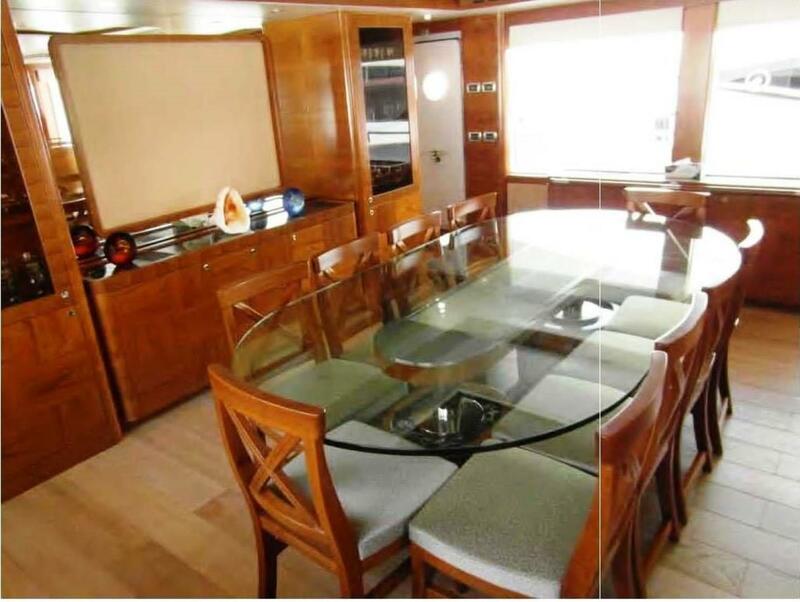 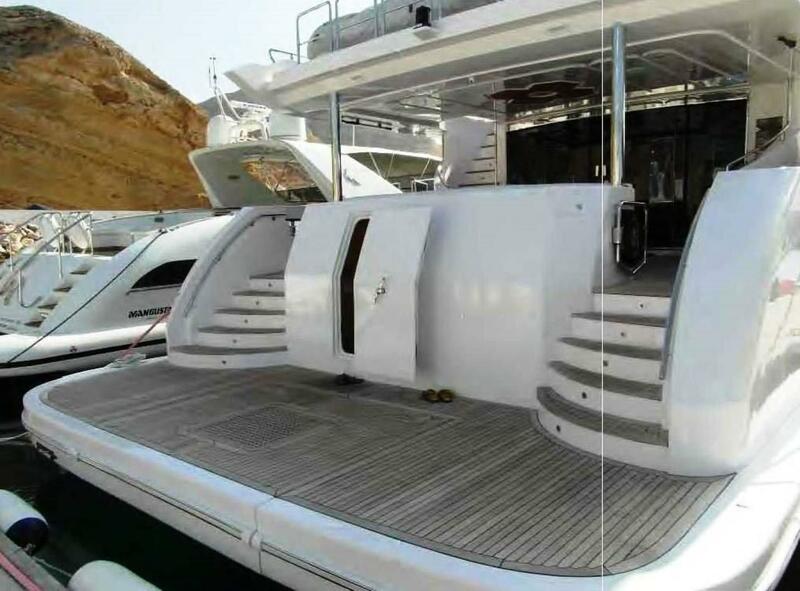 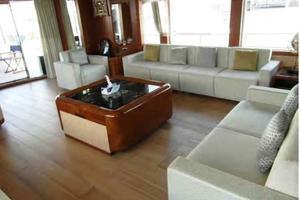 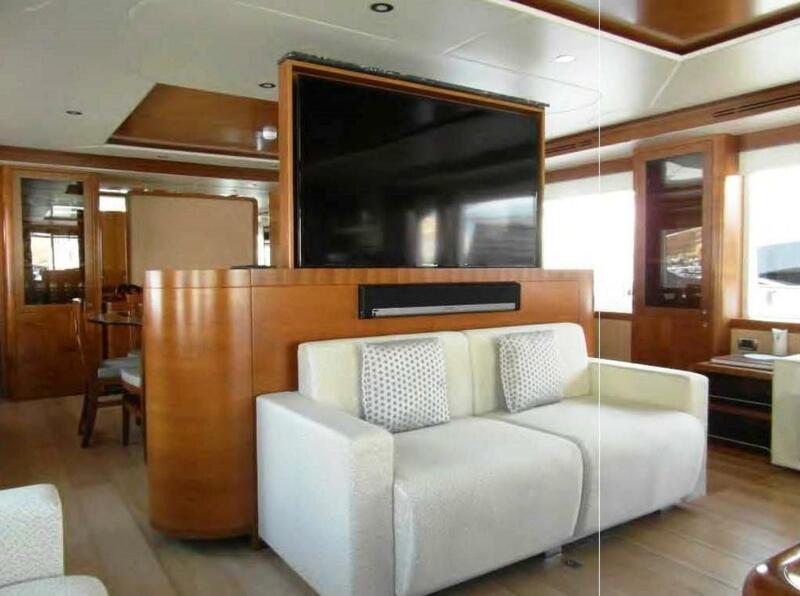 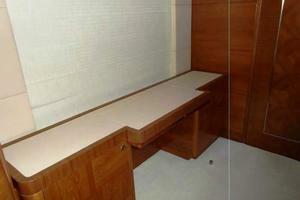 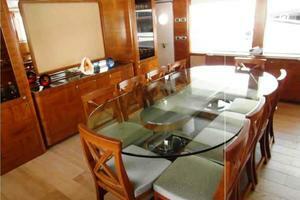 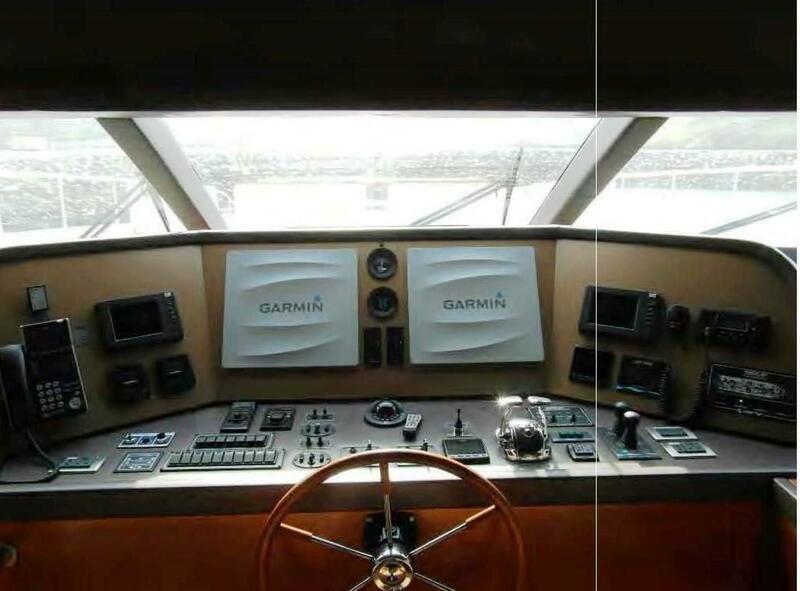 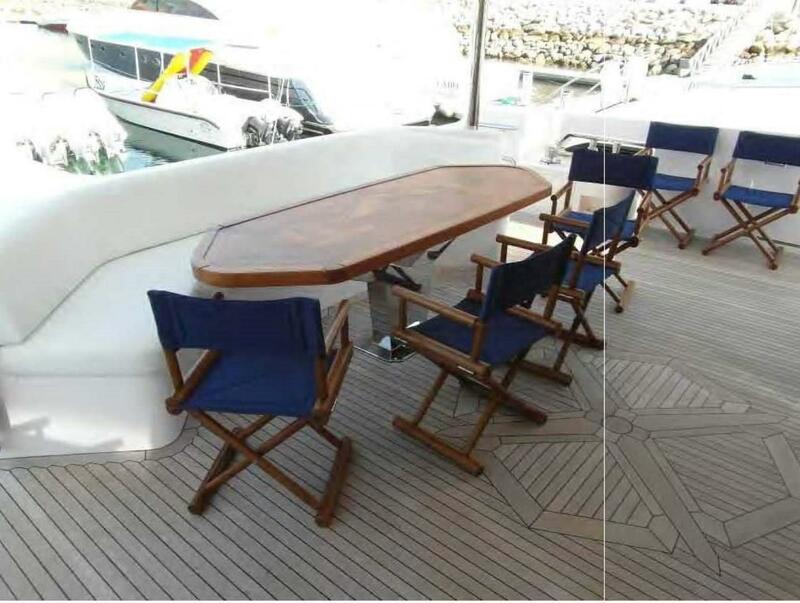 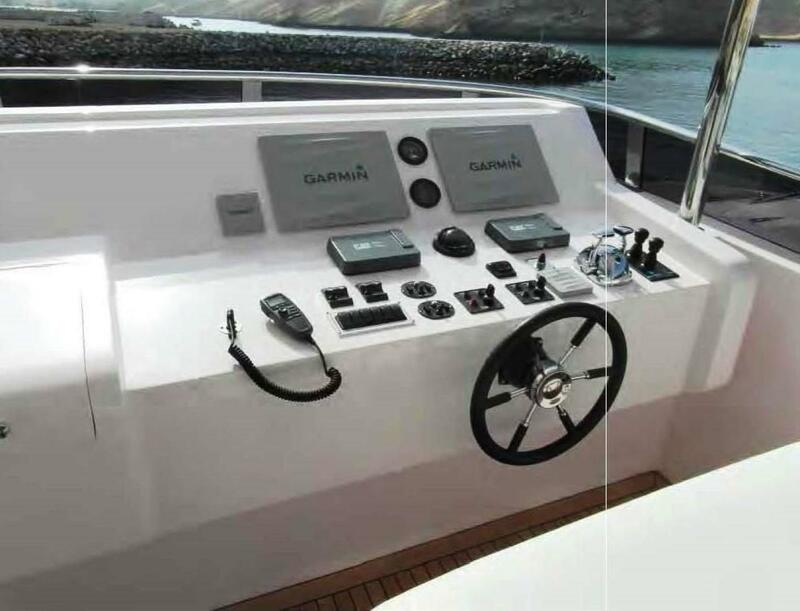 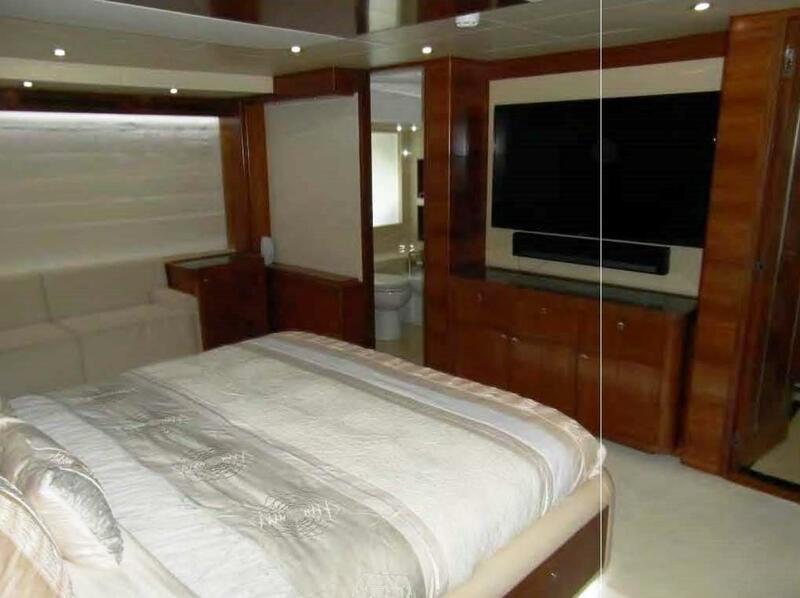 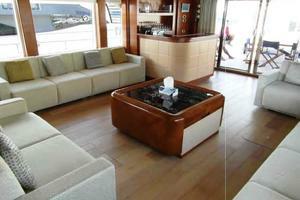 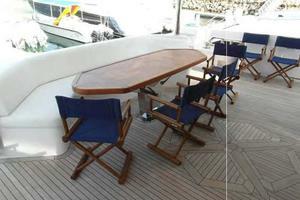 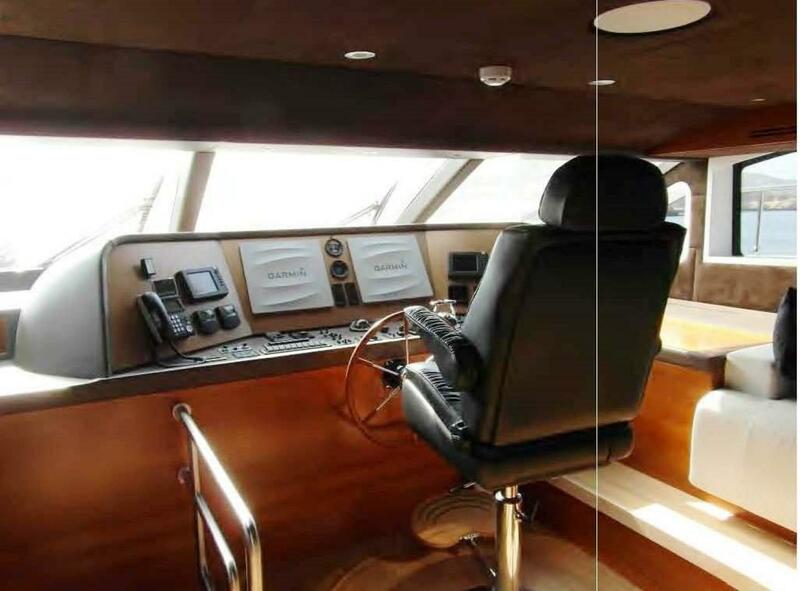 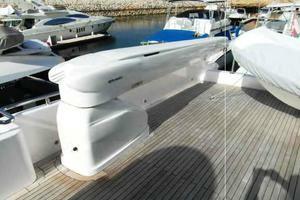 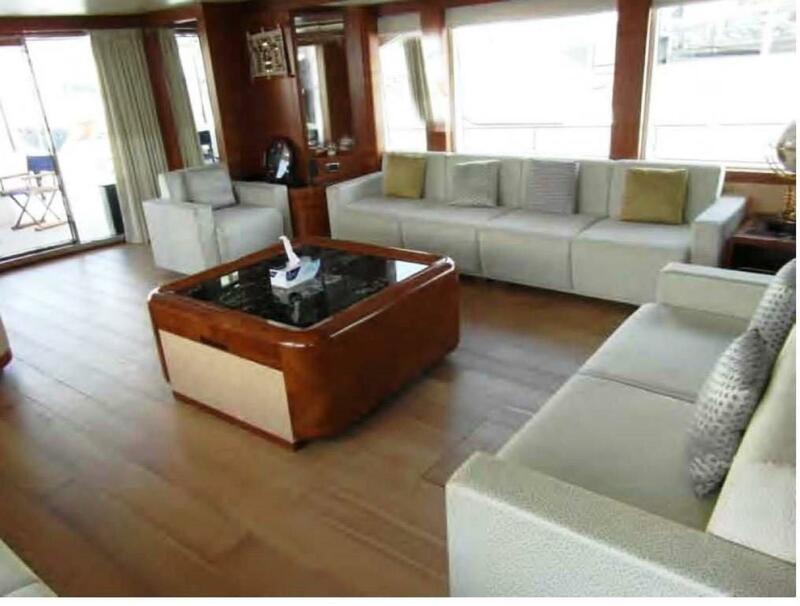 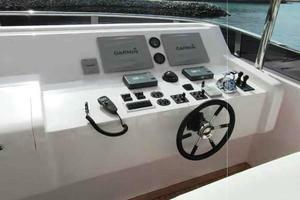 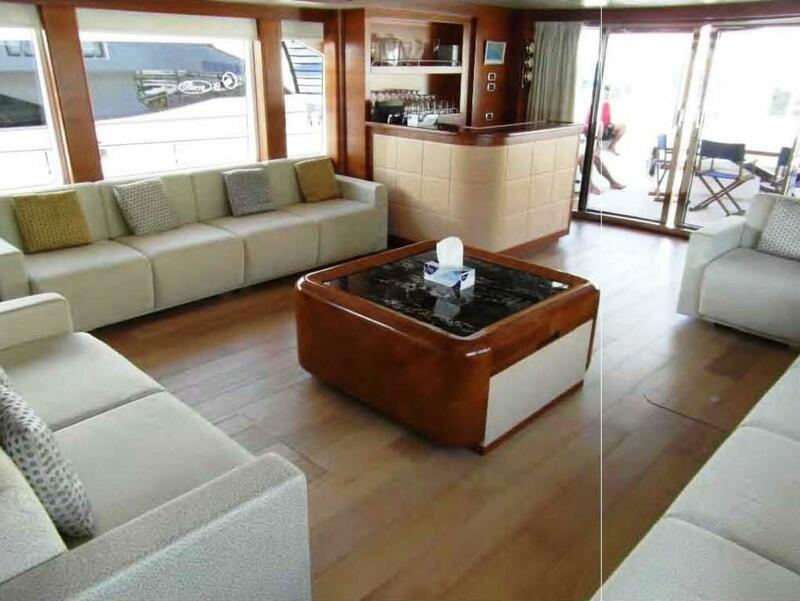 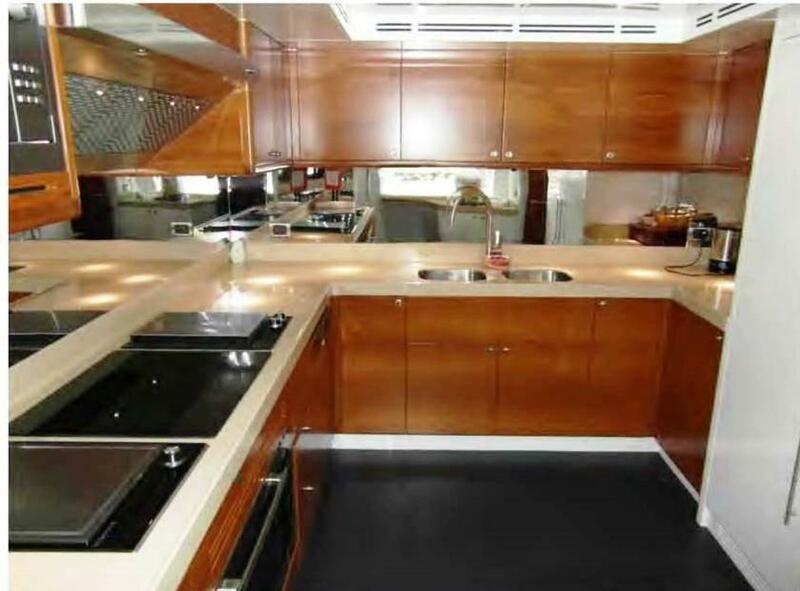 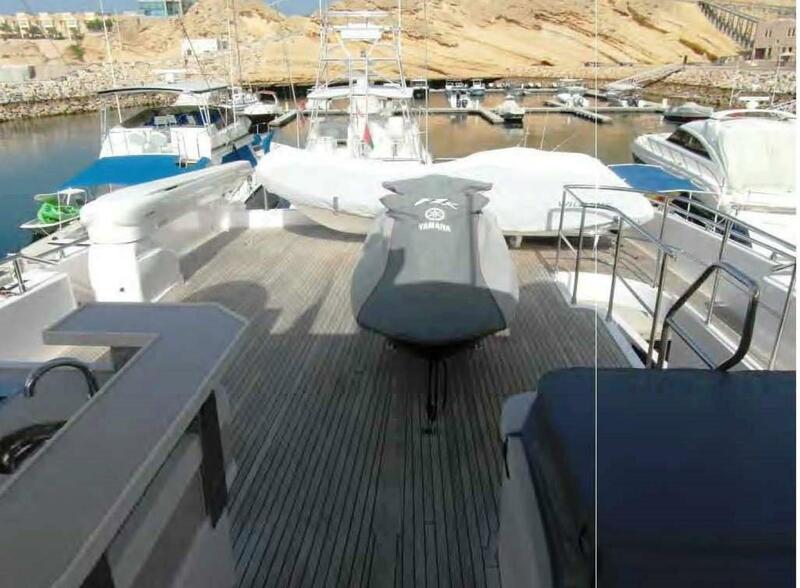 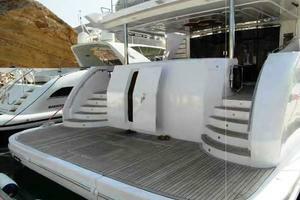 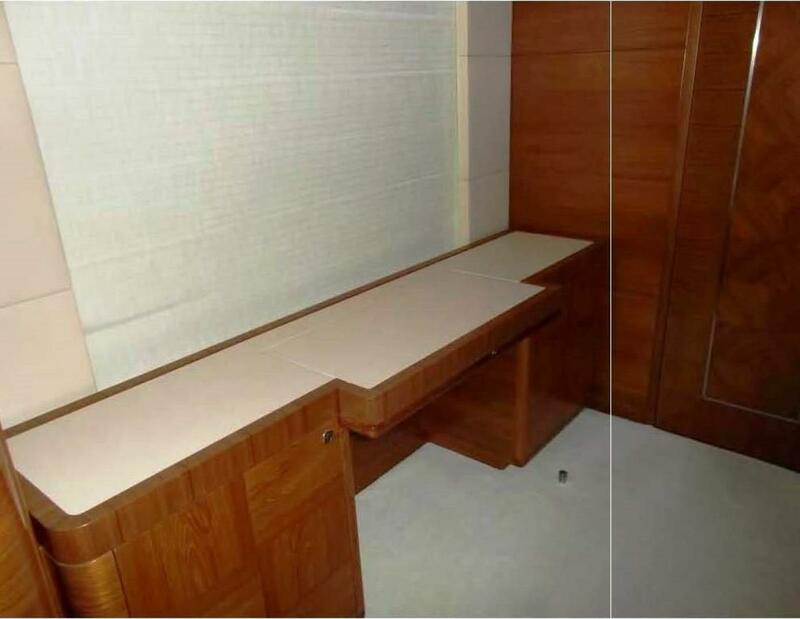 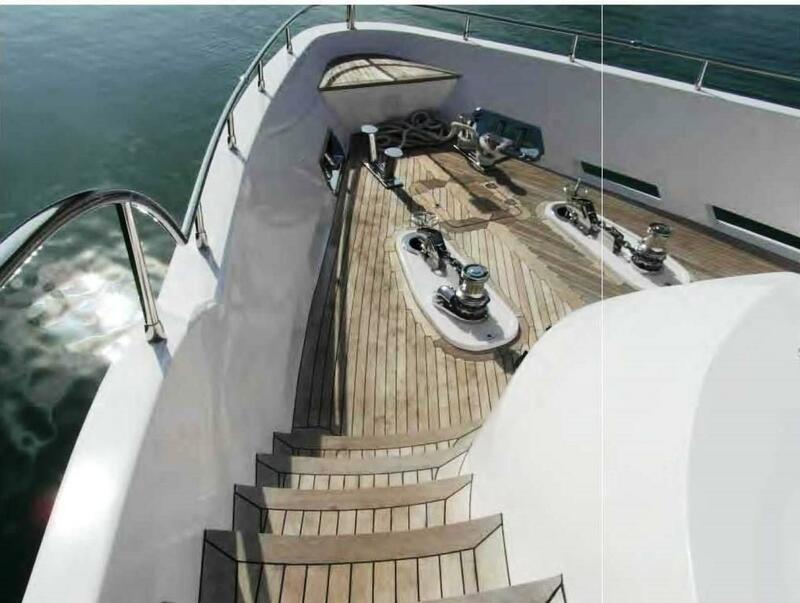 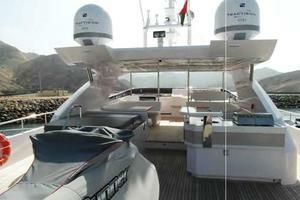 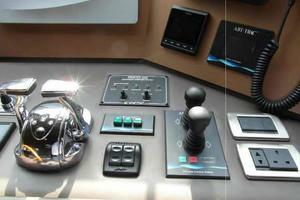 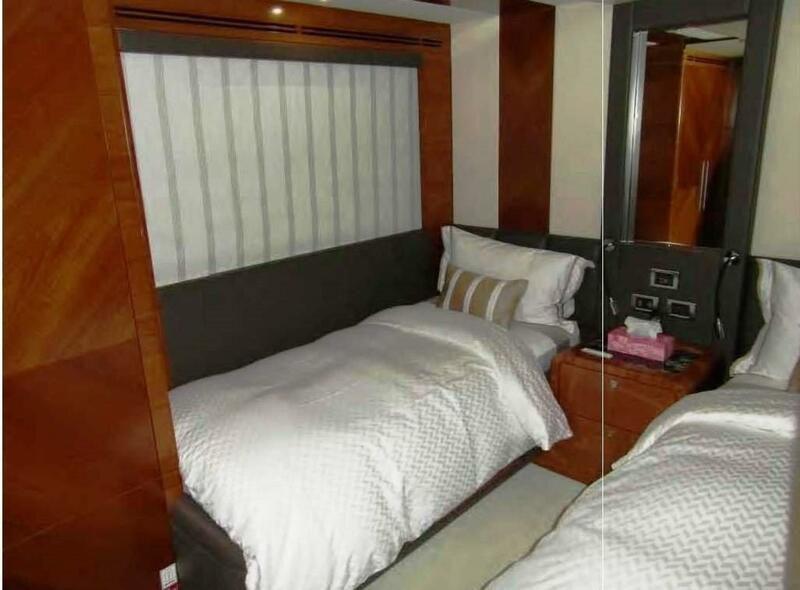 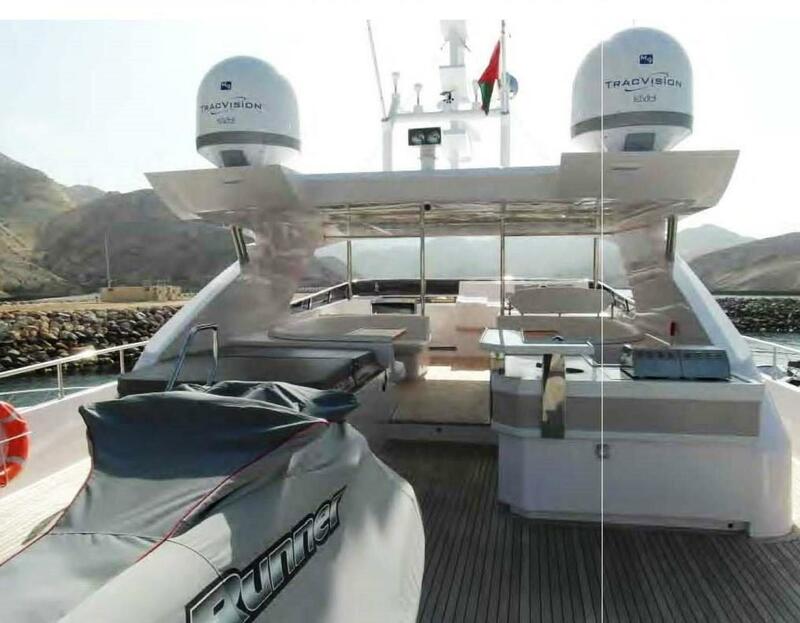 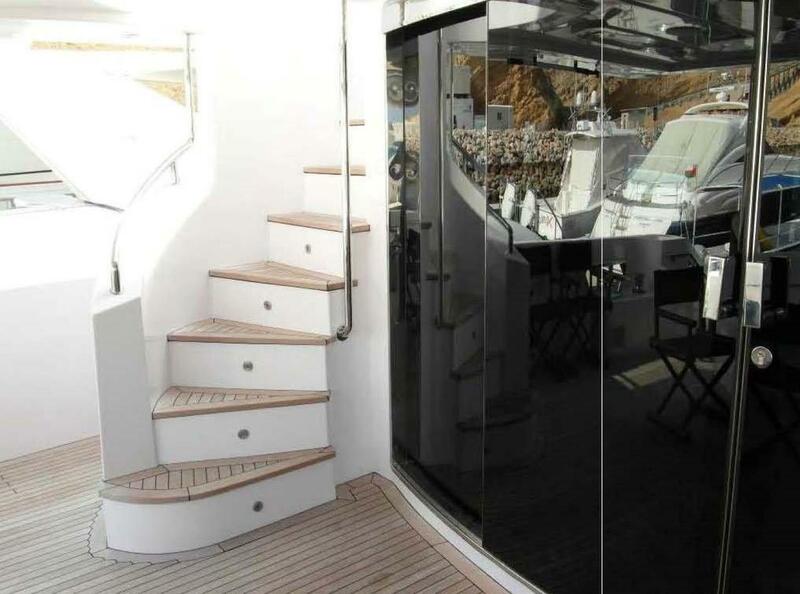 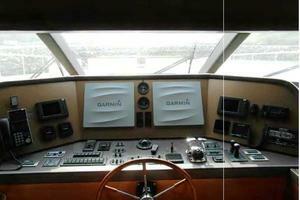 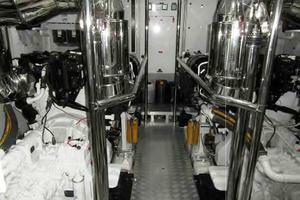 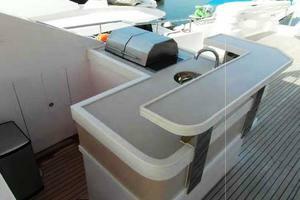 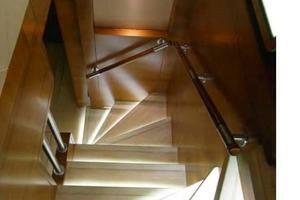 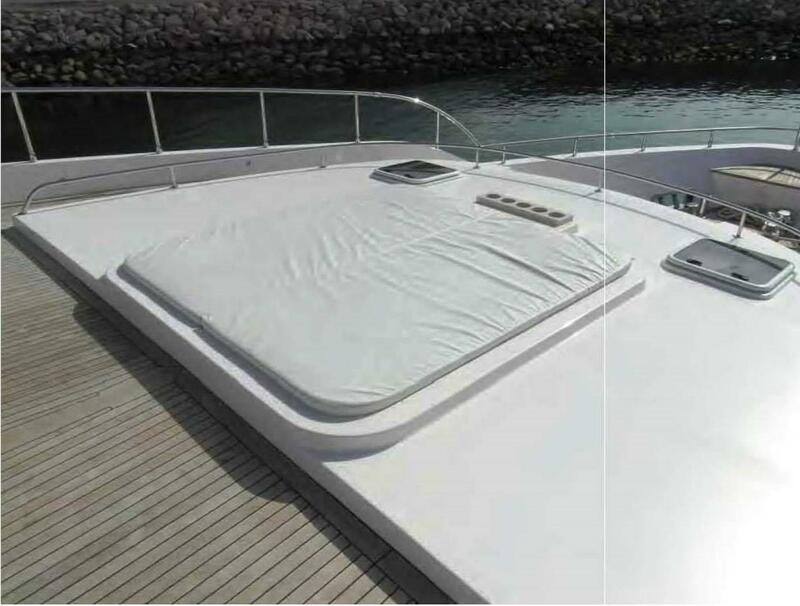 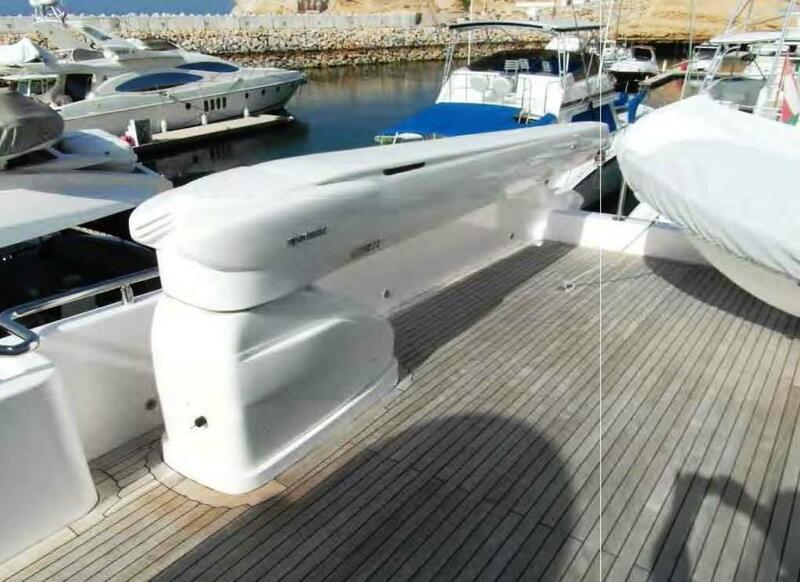 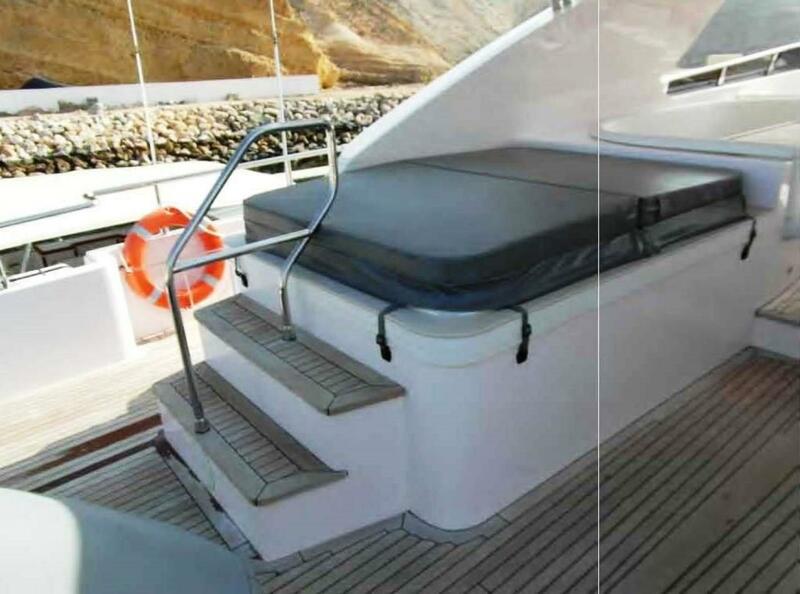 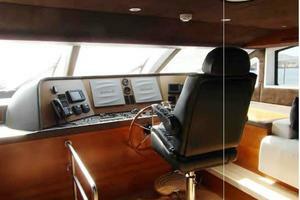 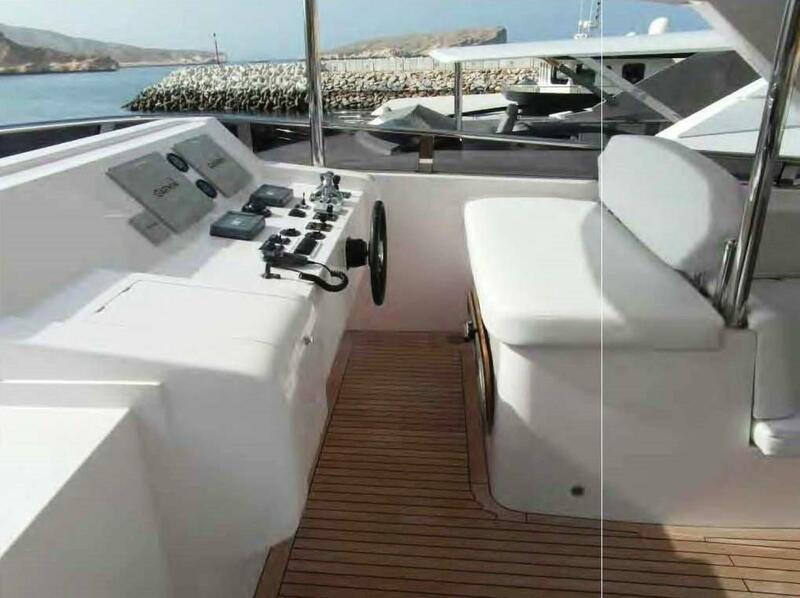 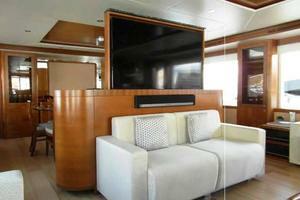 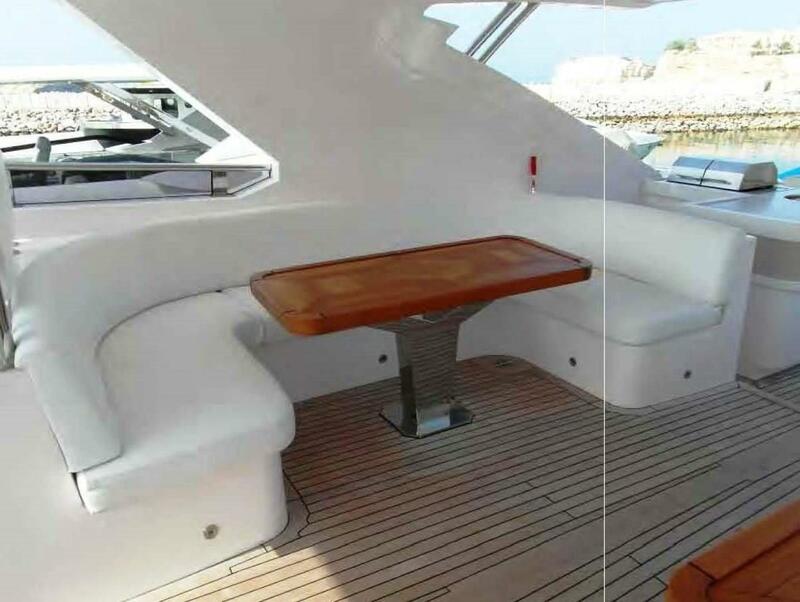 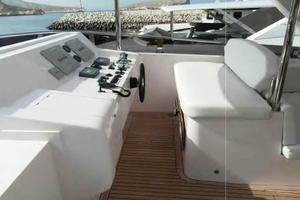 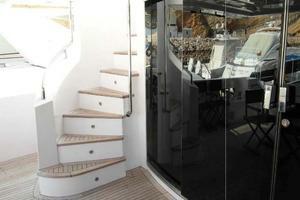 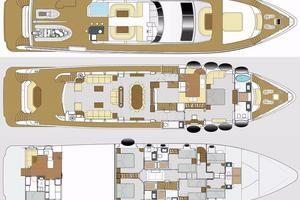 She has a full beam master on the main deck forward with ensuite and owner's office. 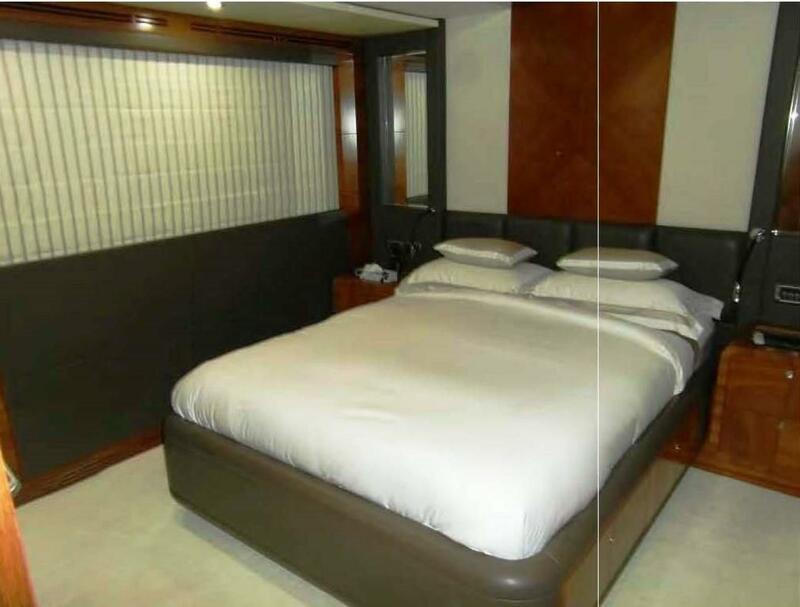 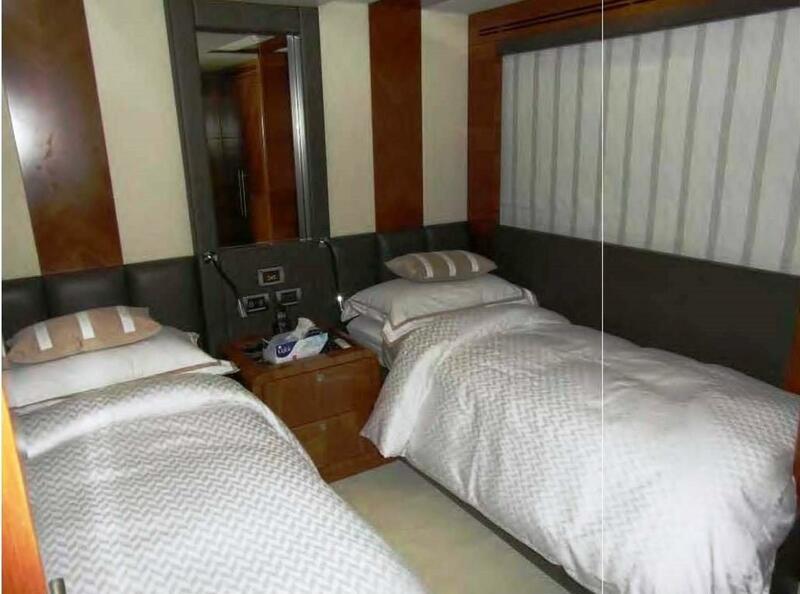 Each of the lower deck 4 staterooms have their own ensuite heads. 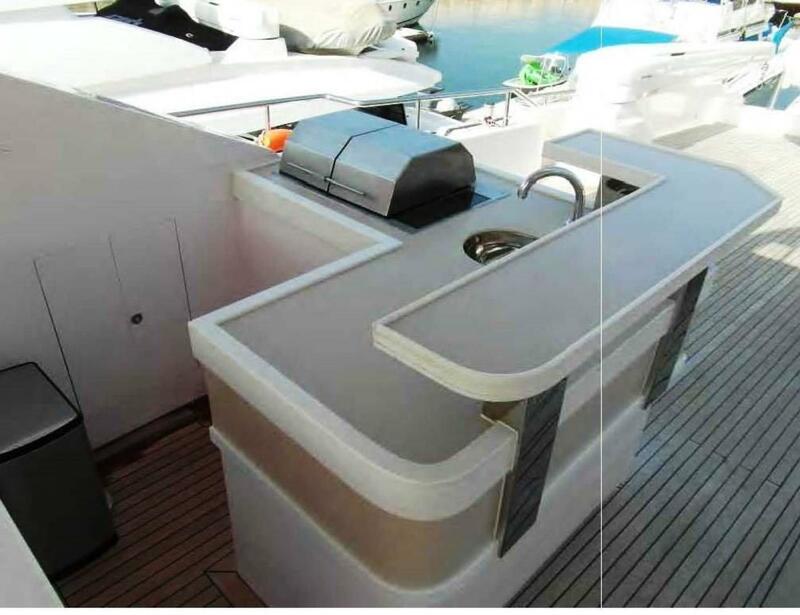 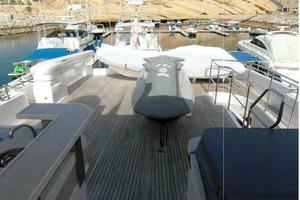 The spacious flybridge is tremendous for entertaining with plenty of seating, jacuzzi, wetbar, hardtop, and water toys. 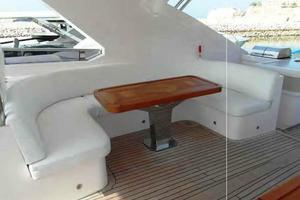 A bow seating area delivers a private area to enjoy fantastic views. 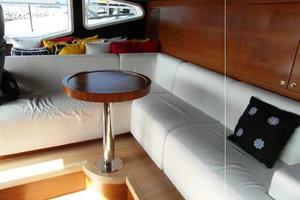 The roomy main deck saloon has large windows for panoramic water views, custom wood flooring, full wetbar, and dining. 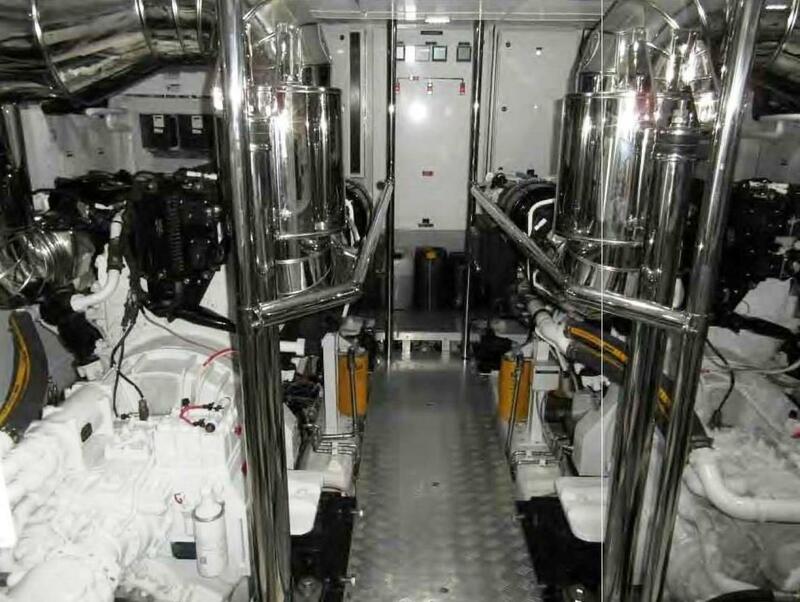 She is powered with a twin 1900hp Caterpillar C32 engine package with only about 100 hours of run time, and twin Kohler 50kW generators. 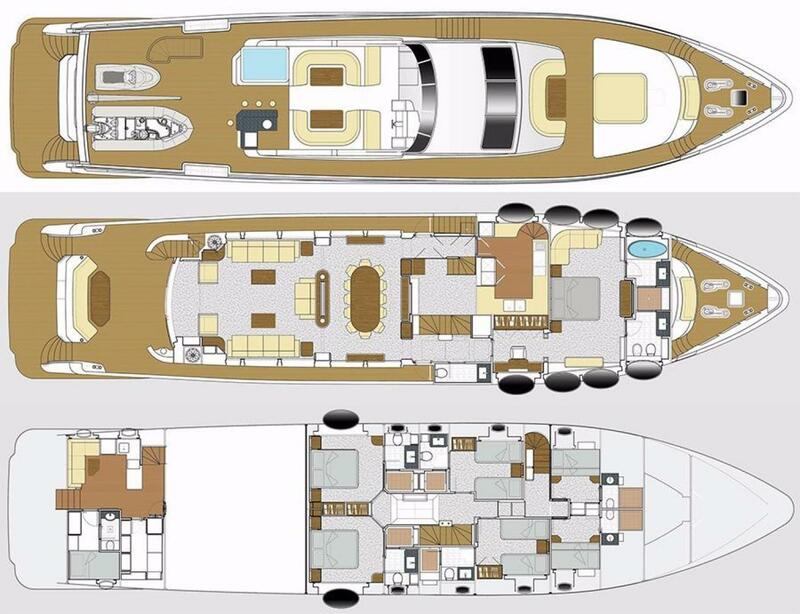 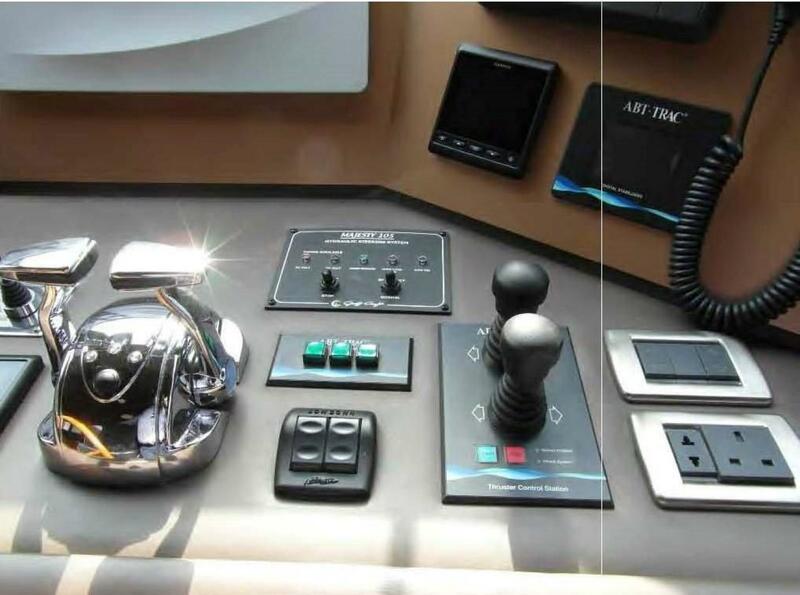 There are 3 crew cabins and stabilizers. 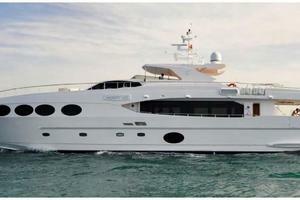 Owner is moving up to a larger vessel. 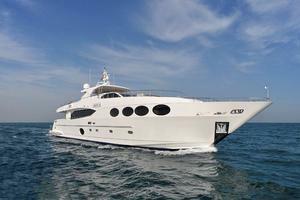 She has just been reduced again for a quick sale!